“The website was easy to navigate around and it was really helpful having the different categories like adventurer and brainiac etc. to make the present finding more specific. This is the first time ever i bought a present online for kids and because i don’t really see them much and only knew their ages and some of their likes it was great that i could choose age defined gifts. 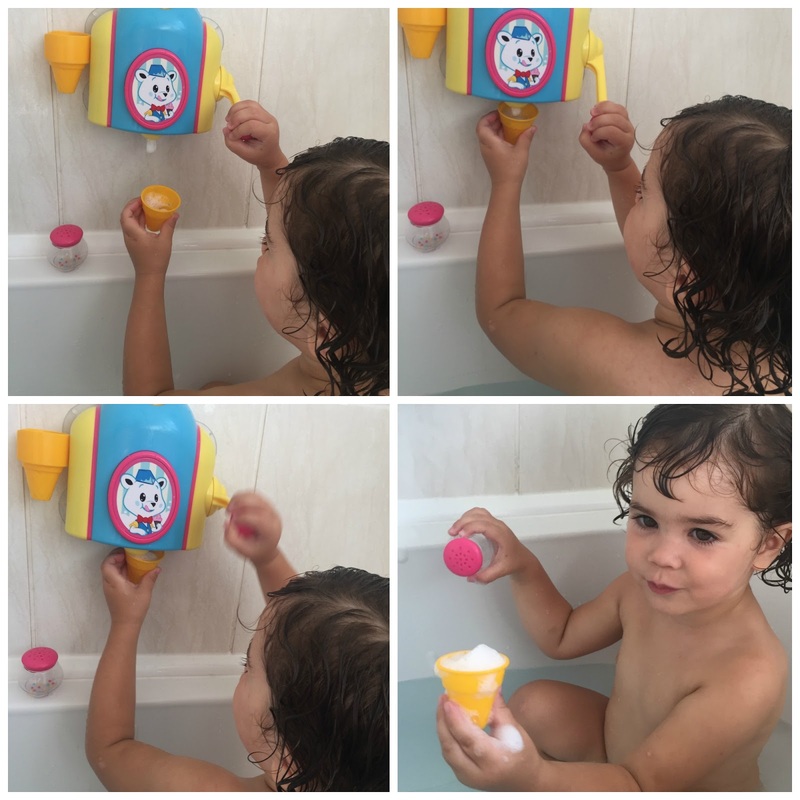 The Foam Cone Factory from TOMY was an instant hit with both the kids and they couldn’t wait till it was bath time to try out their new pretend ice cream machine. You only need to drip in a few drops of bubble bath into the cornet at the top…add water…and pull the lever. This clever bath toy uses suction pads to attach to the bathroom tiles or the sides of your bath. The three flat-bottomed cones are designed to sit on the side of the bath, ready to add pretend sprinkles from the shaker that comes as part of the set. 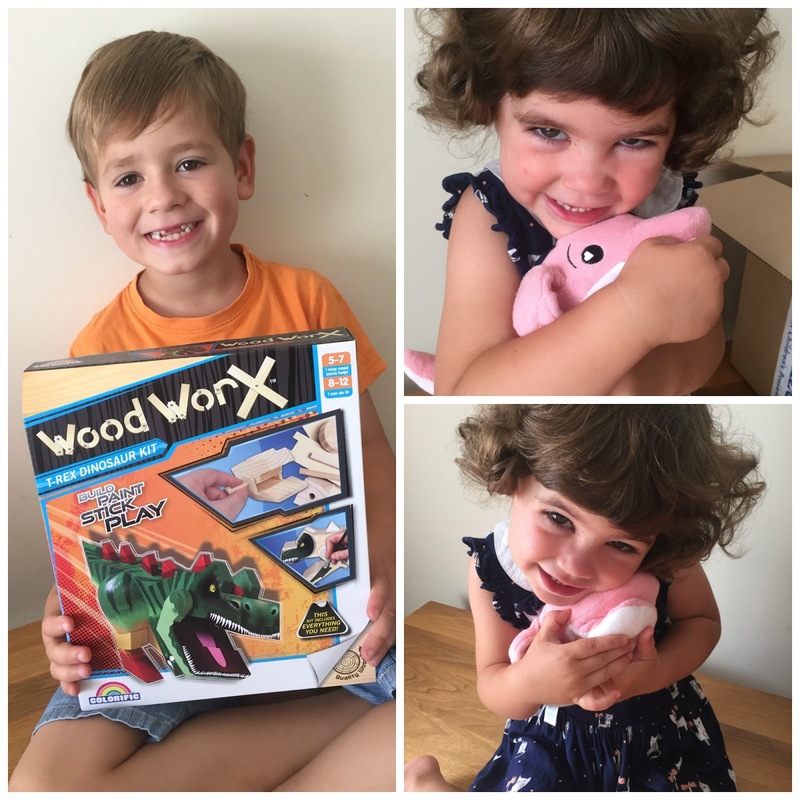 Molly-May squeaked for delight when she spotted the pretty pink Dolphin Soapbox named ‘Ava’ and didn’t stop cuddling it all day! When i told her she could take Ava for a splash in the bathtub that night and it will even help her to wash herself she did her exiting dance with a big grin on her face! Ava is made using a soft terry cloth exterior and an anti-microbial sponge interior, she is easily worked into a lather – you just feed her some soap into her mouth. Finn was pretty happy with his Dinosaur Kit from Wood Workz! 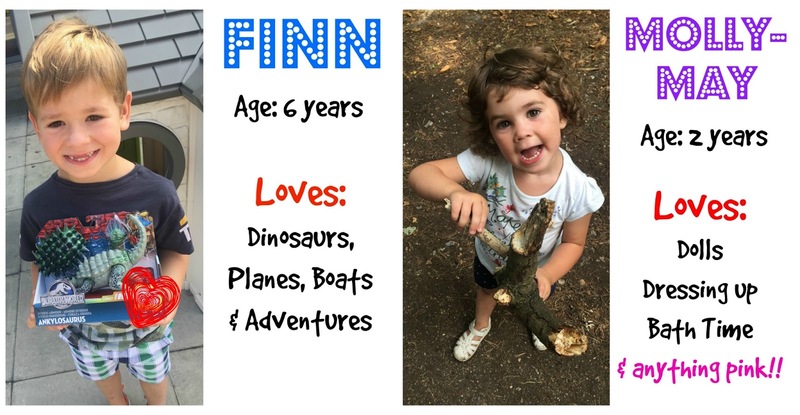 And whats not to like, it’s a fun creative set which contains 23 quality wooden pieces from renewable sources with glue, paint and stickers to make a T-Rex, the king of dinosaurs. This is something he is very much looking forward to creating with Daddy and he already told me once it’s finished he would like to take it to show and tell Fridays in his school. All 3 presents been an instant hit with the kids and with myself too! 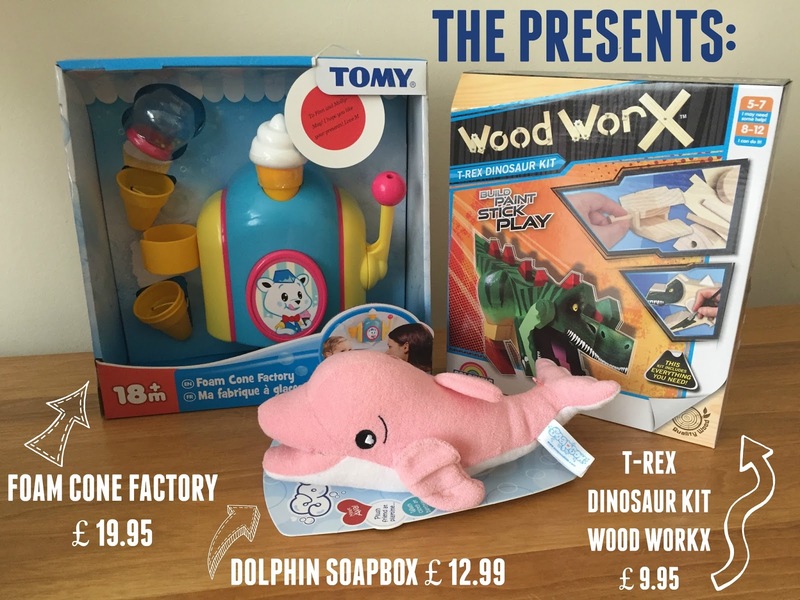 Melissa has chosen some fantastically cool gifts all thanks to Wicked Uncle who have such a big and decent collection of just the right toy for everybody! 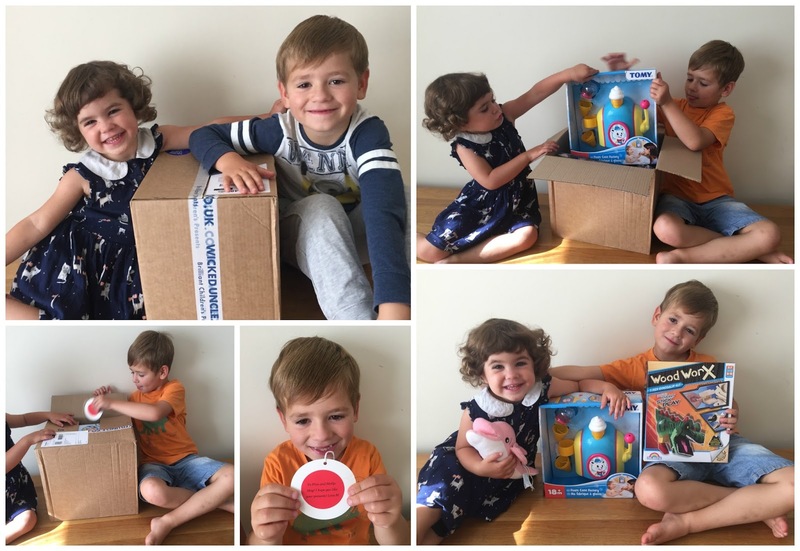 Wicked Uncle is the one and only address to give out to helpless Uncles, Aunty’s, Godparents, Friends and Family who want to buy your children something cool so head over to their website now and have a browse for yourself your certainly wont be disappointed!! It’s a A* present service with some great little extras like having the gifts wrapped individually and there is a free gift tag is attached to every order, ours even came with a little thank you postcard to send to the person who gifted the present which i think is a lovely touch! You can also choose to add a birthday card (which is handwritten for the extra personal touch). If you need some more convincing (surely you don’t by now??) head over to the Wicked Uncle Blog who will give you 4 more reasons that everyone should use their website. 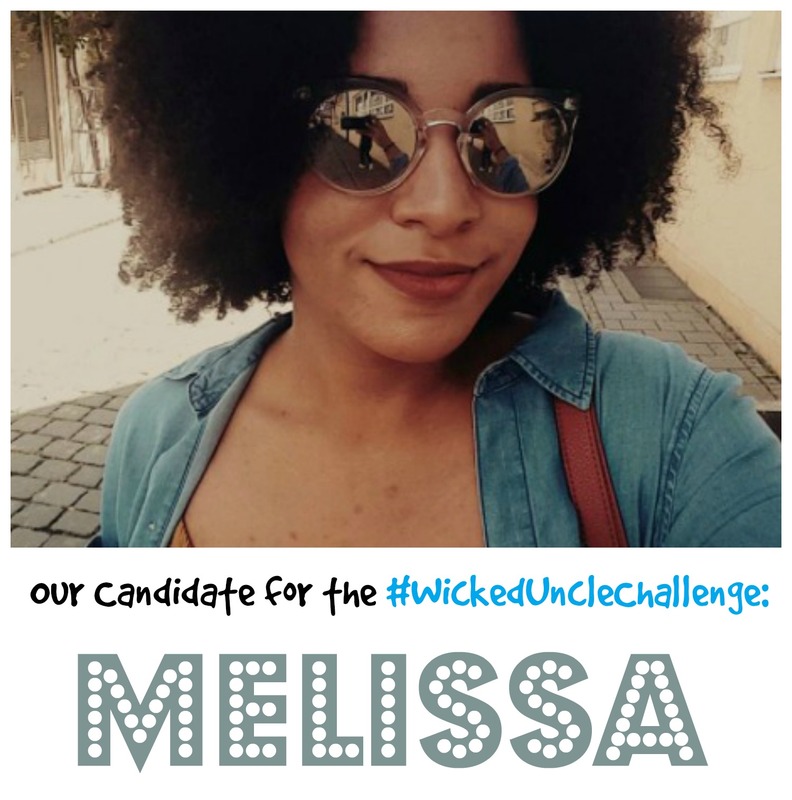 Disclaimer: I have been given a £40 Voucher Code for the purpose of taking part in the #WickedUncleChallenge and write about it, but all thoughts and opinions are mine.